reliability. 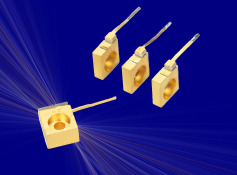 Single frequency 780 nm laser diodes are used in atomic spectroscopy for rubidium-based applications. Part number example: PH780DBR080CM. Assign optical power from those available shown below.